Today’s photo shows streetcars bustling around Union Station (obvi, right?) at 18th and Market Streets. 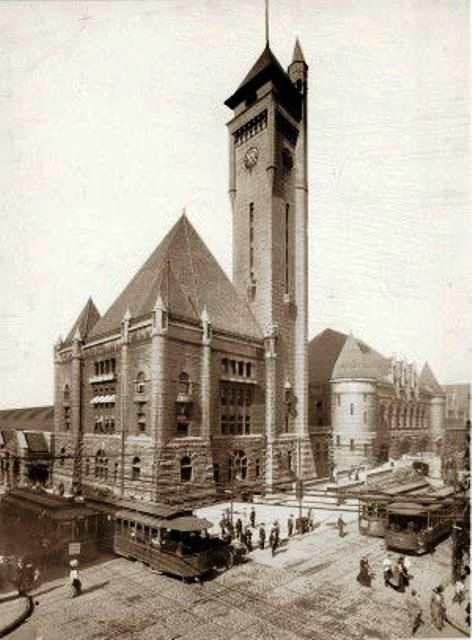 The photo was taken in 1904, ten years after the station was completed. Perhaps the people pictured were hustling to catch a streetcar to attend the Louisiana Purchase Exposition, happening in Forest Park all summer long that year. Just a few blocks away this weekend is the St. Louis premiere of the musical Hedwig and the Angry Inch at the Peabody Opera House. Ride Metro to the show and have a great weekend!